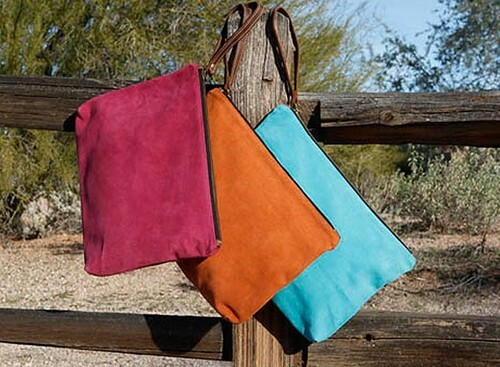 Buying fashion with an eco-friendly vibe is easy with these fabulous handbags. Every Hebe Rose product is at least 60% recycled, with much of the material they use coming from the PET Plastic bottles that would otherwise be clogging up a landfill. Hebe Rose New York was started in early 2016 by two designers, April Rose Gedney Ramirez and Barbara Corea, both of whom shared a common goal. This goal was to create a product by recycling what they could and making a difference. Although It sounds simple, there are numerous laws to abide by making startup challenging. To see the realities of our country’s waste, April and Barbara went on a trip to Asia. What they learned on this journey broke their hearts. Many American landfills are at capacity, and thus garbage is being sent over to third world countries like the Philippines where people sort through landfills to find recyclables. Seeing other people deal with our country’s problem just did not sit right with these gals. Witnessing firsthand has made them even more determined to change the fashion industry from within. “Ethical fashion is not a trend, but it is a statement. It’s a statement we hope more consumers will make as they wake up to the harm caused by mindless consumption. Recycling turns things into other things, which is kind of like magic”! Making a statement. Making a difference. This is what Hebe Rose New York is all about. After studying Fashion Design at The Art Institute of Chicago, I was hired as a children's wear designer in the 80’s. The best part of my job was traveling throughout Europe several times a year to attend fashion shows and to research fashion trends. On these trips, I was mentored by my boss to travel efficiently with only a small carry-on for the two-week stints. Hopping from Italy to France to Germany to Denmark, we easily navigated planes, trains, and buses. Sometimes even forgoing hotels for sleeper cars on trains as we went from city to city. That was where my passion for travel and adventure started, as well as the idea of traveling with very little to give you the most freedom abroad. In the 1990’s to supplement my income, I began designing and making jewelry out of found objects. I see beauty in the most humble of things. In my travels, I would be scouring flea markets, digging through obscure hardware stores, and even hunting in back alleys and vacant lots to find hidden treasures. Using old fishing lures, antique keys, vintage bottle caps, padlocks, clock parts, gadgets and other unusual objects, I would create pieces with a unique story. I called it my Found Object series. Back then, it wasn't called Recycling or Upcycling. In 2001, I relocated from Chicago to Scottsdale, Arizona, then 9/11 happened. The years following that, everything changed. Employers filed for bankruptcy or went out of business. I was laid off three times. Twenty-four years of marriage ended in divorce. I started thinking about how my old ideas of job security, stability, and lifestyle had changed. At my lowest point, I found strength to come back even stronger, as I embraced my true self. While working for a leather company, I taught myself how to make leather accessories to meet the needs of my new life, when I couldn't find what I wanted in the marketplace. On the weekends, I started doing art markets and selling my designs and accessories. In 2010 modernmuse61 was born. In 2013, I quit my job and sold my possessions. I took a risk on myself to follow my passion for traveling on the open road. I'm now enjoying my lifestyle as an artisan doing various art shows throughout Arizona and California. Some say I'm a wandering hippie gypsy, but I prefer to see myself as a hard working road warrior entrepreneur. Form must always follow function. Everything I design is multifunctional to suit every need. My International Case not only holds a phone, but also a passport, notebook, credit cards, cash, business cards, lipstick, and even a pen! My Equestrian Belt can be worn alone, together with the Cell Phone Case, as a crossbody style, or hidden shoulder holster. Perfect for the modern bohemian nomad. Now with relatively few possessions, I am living a life richly blessed with freedom, travel, and adventure. My next challenge is to travel to Cuba with no luggage, except for my International Case, Equestrian Belt, and convertible knapsack. To me, success is not accumulating wealth, status, or power—but being happy and content with what you have. I'm forever learning, constantly evolving, and with this life thing—I'm just getting started. Life is great at throwing curve balls. Angela Johnson was a college graduate with a degree in Speech Communications when she realized she had a back pocket full of public speaking skills but nothing to speak about. At a professional crossroads, she thought about what made her really happy. Her mind went back to altering Barbie clothes as a little girl, wearing her grandmother’s fancy party dresses and accessories to high school, and mentally fashioning her own feminine and flattering snowboard gear as she hit the slopes. Each of these revelations pushed her to pursue a fashion degree at the Fashion Institute of Design and Merchandising in Arizona. With her fashion degree in hand, Johnson’s first job was cutting patterns for minimum wage in a room that made her sweat in the summer and shiver in the winter...not exactly glamorous couture, but an admirable work ethic and raw talent allowed for quick upward mobility. After she had paid her dues, Johnson ended up as a production manager of a super cool clothing company, X-Girl and X-Large Manufacturing, owned by music legends Mike D. of the Beastie Boys and Kim Gordon of Sonic Youth. Over the years, every intricacy of the fashion business was filed away so Johnson could one day use it when she developed her own brand. That opportunity came while teaching a fashion class at New School for the Arts and Academics in the early 2000s. 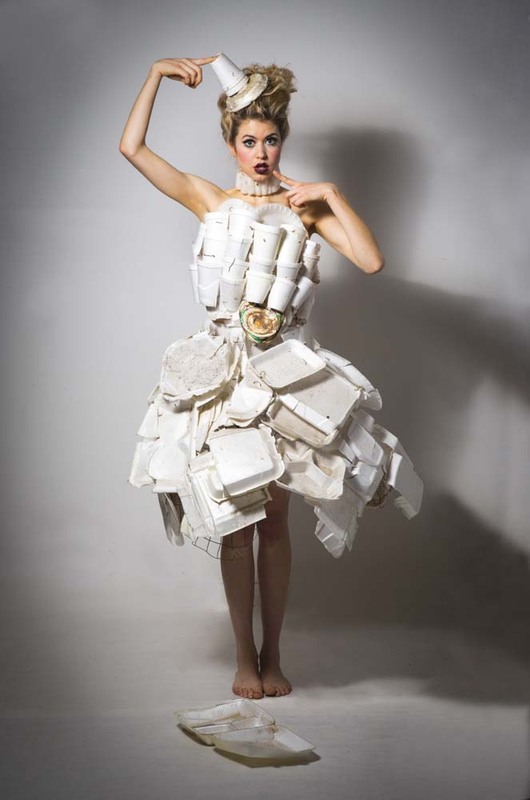 Johnson had asked her students to prepare a fashion show with all upcycled garments. To illustrate their assignment she had created a ball gown made out of t-shirts, playing off the juxtaposition between the old jersey fabric and the fancy garment. “It turned out really cute, and the students liked it a lot. I ended up getting orders on it shortly after making it and decided to create my entire collection out of upcycled t-shirts,” said Johnson. This eco-friendly creation married her love of fashion and social responsibility. Creating something fashion forward from discarded items is an intense process. 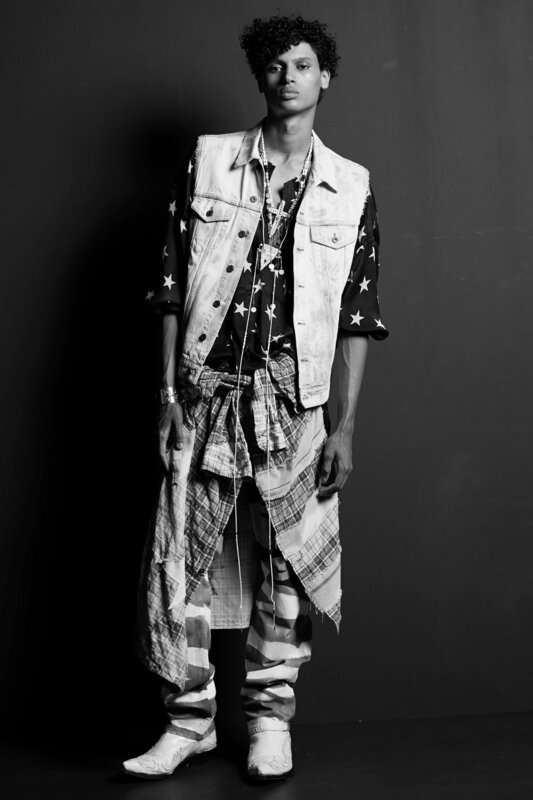 Each gown takes 10-50 thrifted shirts that work harmoniously together and result in one original, creative piece. This type of upcycled fashion challenges Johnson’s creative limits, but her dedication to her craft has inspired an eclectic and loyal following. She dresses teens looking for prom dresses that make a statement, older women attending art galas, and men who are jumping on board with rockstar inspired blazers. She hopes the next generation of fashion and eco-conscious teens will find more ways to creatively reuse what they already have. Experimenting with something that was headed for the trash is a great way to discover your inner fashion designer. Cut it, tie it, sew it, do what you will to make it into something new. Johnson is passionate about educating the next generation of designers. To do this, she has created www.labelhorde.com, which is the online headquarters for the fashion industry in Arizona. She can’t wait to help educate budding tastemakers with fashion classes, camps, and design studio services. It is a great place for teens to gather and learn to sew, sketch, create and break into the fashion industry. Her best advice to those looking to pursue their passion? Work hard. Learn all you can. Don’t follow the crowd or the rules. Find an era or an icon that inspires you and start there. Don’t be afraid to be different. Sydney artist Marina DeBris has been picking up trash along beaches and creeks for over a dozen years. Her mission began when she moved from Bondi Beach, Australia, to Los Angeles, California. “In the beginning, I would just pick up stacks of Styrofoam cups and bring them to the local 7-Eleven, but I soon realized that this wasn’t attacking the root problem. I needed a creative way to draw attention to it. 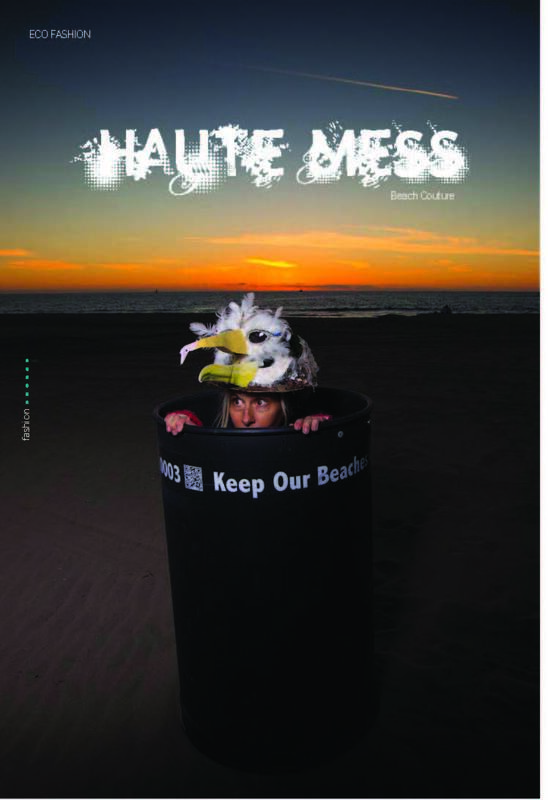 The whole idea of making beach detritus into art began in 2009 with the realization that the waste we create always comes back to haunt us." Aber Gazzi is a British brand. As a child, she started developing illness in her vision that cost her an eye, so she never spoke much but liked to paint. She painted singers whose stories inspired her and from this, the brand was born. Gazzi continued to study people from different parts of the world, different sizes, heights, the way they look at life, and what they have in their thoughts - but most of all, she studies their body language. That’s where she gets most of her inspiration. The T-shirts are created and hand embroidered in a small studio in Milan. T-Gazzi has no sizes, is meant for all ages, and is unisex. There are 7 general designs, but each shirt made is slightly different than the others. Thus, you will always have a one of a kind T-Gazzi piece, designed just for you. These exquisite handcrafted beaded pieces are created by ALAMA, a culture-to-wear label, comprised of a team of skilled women artisans. 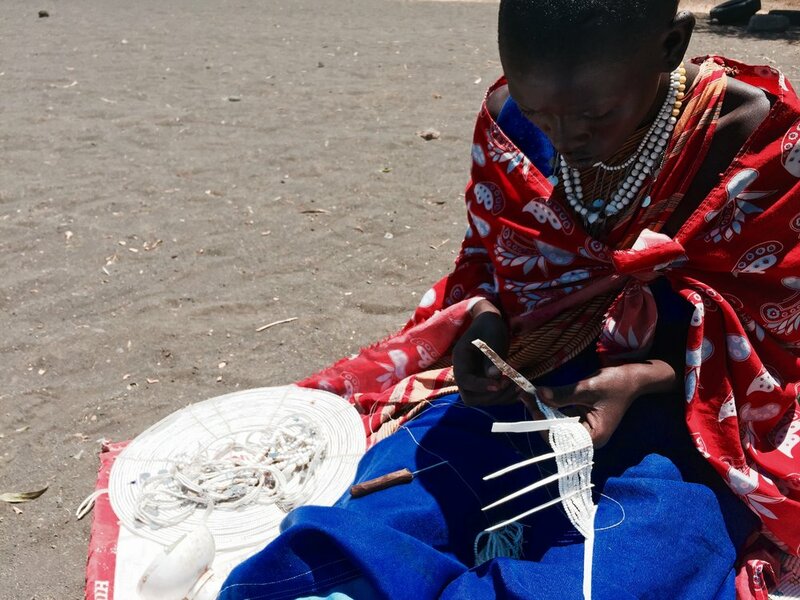 These women are united by their will to promote the legacy of the Maasai tribe of Tanzania through jewelry that is designed for both women and men who wish to support their culture and includes a sustainable design. Each unique jewelry piece is handmade and celebrates the ancestral traditions of the Maasai people of Tanzania, their semi-nomadic lifestyle and the tribe's distinctive dress and jewelry customs. Traditionally in the Maasai culture, the women are in charge of beading. The beaded jewelry pieces accompany the tribe through all stages of life. The colors and the structure of the jewelry can indicate someone’s age, social status, marital status, gender in addition to giving insights on warriorhood. In this context, the white beads represent purity, the red symbolize bravery and strength, the blue signify energy and represent the sky, while the green beads stand for the land and symbolize health. Orange and yellow beads represent hospitality whereas black symbolizes the people of the Maasai tribe. The jewelry brand is empowered by the non-governmental organization Africa Amini Alama– a charity which improves the living conditions of the Maasai and Meru tribes of Tanzania by providing them with no cost health care and social help as well as free educational programs. Each ALAMA artisan is continuously supported with a higher revenue generated through the direct purchase of their jewelry by the brand and provided with tools adapted to the quality requirements of the luxury industry. Committed to both cultural heritage and sustainability, ALAMA's jewelry collection grows organically with unique and handmade statement pieces instead of seasonal offerings along with a zero waste policy. The artisans work only with locally sourced leather, recycled plastic, and glass beads that they purchase from local markets. 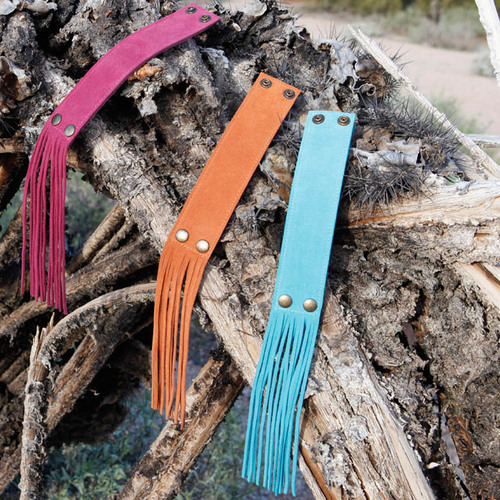 When you wear ALAMA, you can be sure that your jewelry was made with respect for people, animals, and the planet. Keep an eye out for ALAMA's collaboration with French luxury brand Faith Connexion for the Spring/Summer 2017 women and menswear season in Paris. HIS LOVE OF FASHION WITH PHILANTHROPY. Roma Boots merges fashion with philanthropy to give poverty the boot. Their mission is to bring impoverished children throughout the world hope, love, and lasting change through aid and education. They've traveled to 25 countries on five continents delivering boots to thousands of children. A company who not only says they care, but shows it. THE WORD ROMA MEANS LOVE. Jennifer has always believed that in some way she wanted to help others, especially children without a fighting chance. "We as humans should always strive to do anything that will leave this world in a better state." Jennifer has a background in social work and retail before coming to Roma. Megan grew up wondering why she was blessed to live in a country where she had all of her needs, and most of her wants met. "I knew I wouldn't be satisfied in a career unless I could serve others." Her heart calls to teach others, internationally, that they don't have to be a victim of their circumstance. She feels it's a privilege to work alongside individuals who have experienced trauma or difficult situations. It's her goal to help them overcome barriers and challenges, and to recognize their value, worth, and purpose. Samantha has always had a passion for helping the homeless and those living in poverty. She went to school for fashion but felt empty working for a company that did not have a philanthropic purpose. She read an article about Roma, and saw the mix of fashion and philanthropy; from then on she became a super fan and now is a part of the team. Rebecca went on a mission trip to India that changed her life. It gave her the chance to realize how much help we can be for others. With a degree in business and a love for sustainable and ethical fashion, she saw an incredible opportunity to work for Roma, which mixes her love for fashion through Fair Trade and a social cause. Working at Roma Boots is not just another job, we're helping the world become just a little bit better. We love what we do, and more importantly, love why we do it. From giving a smile to a sad stranger, opening a door for someone, volunteering, buying a hungry person a meal, or an impoverished child a pair of boots, we all have something to give. Roma is convinced that it’s better to give than receive. They’ve chosen to give poverty the boot through art, education, fashion, philanthropy and by teaching others the art of giving. "Together we can eradicate poverty as a state of mind and as a physical condition."